We are so excited! 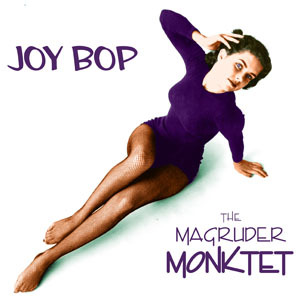 At last…and finally…”Joy Bop”, the Magruder Monktet’s brand new CD…is here!!! This album was recorded “live” at Studio Magruder last Summer and represents the pride, love, imagination and daring of everyone involved. Under the leadership of Joy Magruder, the Monktet is a straight-ahead little big band (nonet) which plays the music of Thelonious Monk as well as John Magruder’s original pieces arranged in the Monk Mode. We hope that you will enjoy our music as much as we enjoyed making it. To purchase the album through CDbaby.com click here. FeaturedPosted on September 8, 2015 September 8, 2015 Categories informationLeave a comment on Joy Bop is Here! The Magruder Monktet is available for appearances at jazz festivals, clubs, educational presentations and other venues.